Let us get one fact out of the way, first. 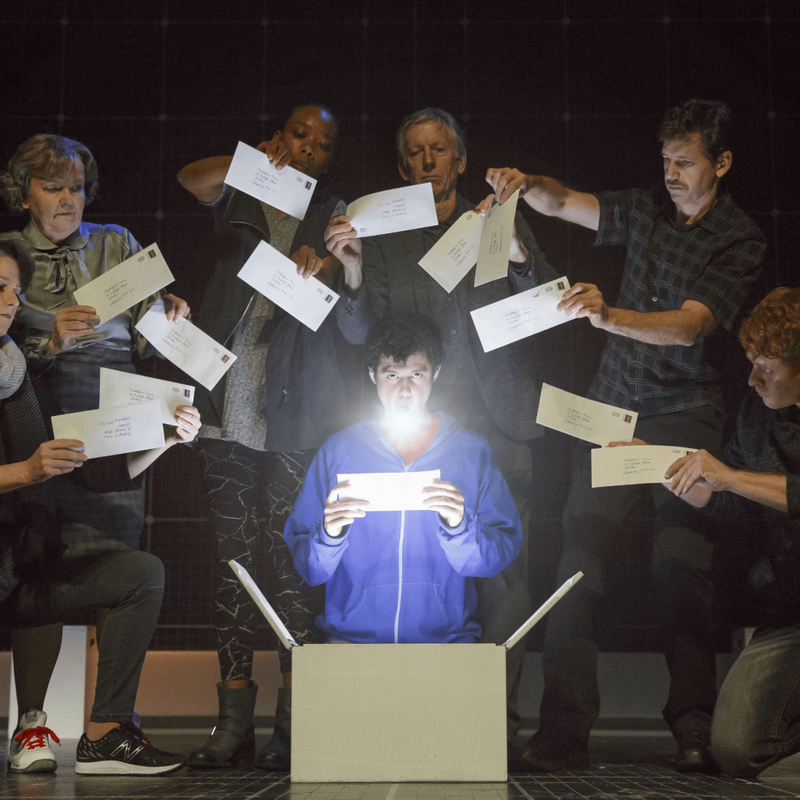 The Curious Incident of the Dog in the Night-Time the latest Broadway at the Hobby Center-presented show is not a musical. 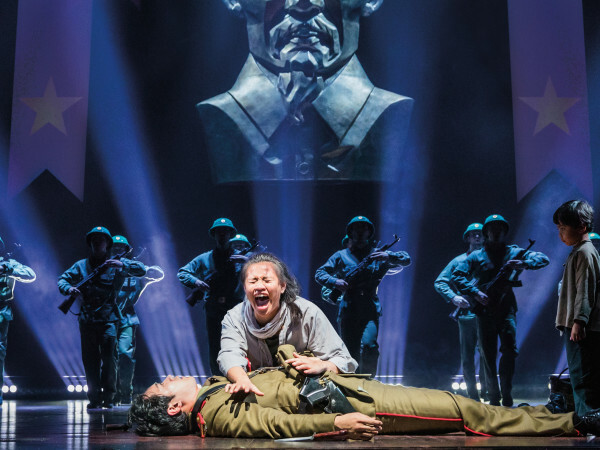 Houston Broadway audiences and season subscribers should definitely not head into the theater expecting songs you’ll hum on the way home or big show-stopping dance numbers filled with tapping chorus girls and boys. 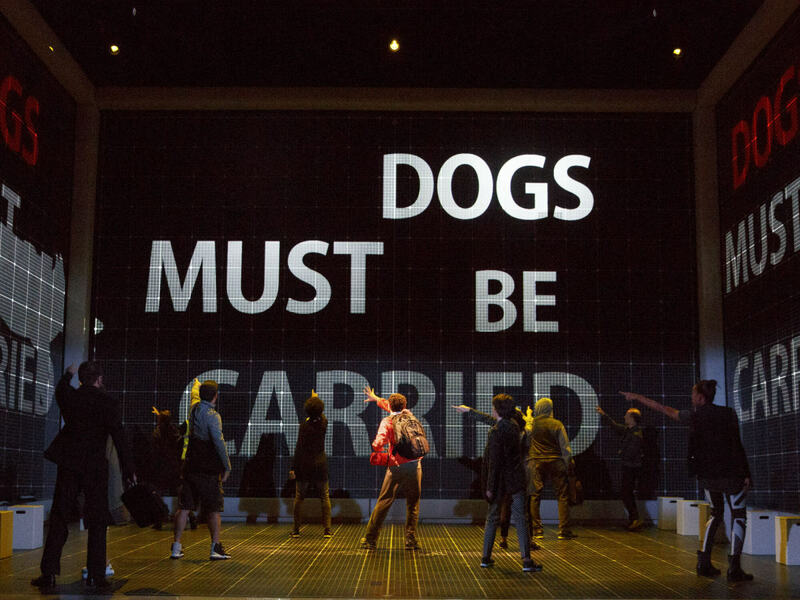 But those who let go of those Broadway-means-musicals expectations will instead find that this mystery story of a teen attempting to solve a dog’s murder contains its own special melody of sights and sounds that occasionally crescendo into a beautiful cacophony. 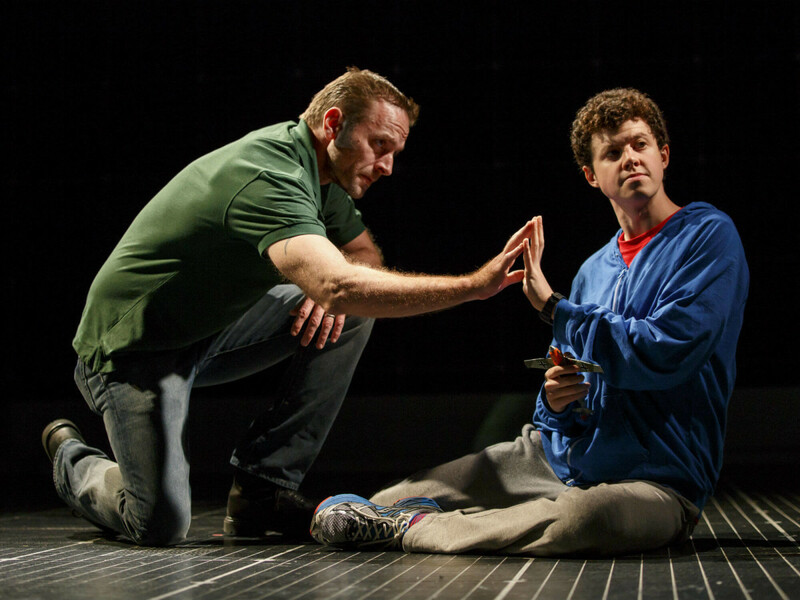 It becomes apparently early in the play that 15-year-old Christopher Boone (Adam Langdon), a budding math prodigy, also lives his full life somewhere on the autism spectrum, though no character utters such a diagnosis throughout the two acts. Finding the neighbor’s dog, Wellington, killed with a garden rake, throws into chaos Christopher’s well-ordered world, already undone two years earlier with the announcement from his father that his hospitalized mother had died of a heart condition. Perhaps to restore some order, Christopher, a Sherlock Holmes fan, sets out to solve the mystery of what happened to the dog in the night-time, but ends up trying to unravel the much greater mystery of his life, ordinary people. Christopher’s particular perception of his environment makes it difficult for him to understand how most people lead their daily lives filled with metaphors — or lies as he calls them — and how they easily translate each other’s facial expressions and gestures into a shared language he struggles to decipher. While he has trouble comprehending the slightest turn of phrase, like the skeletons everyone keeps in their closets (a bit of figurative foreshadowing there), the teen excels at seeing numeric patterns in the world, understands the physics of the universe and would love to become a lone astronaut exploring outer space. 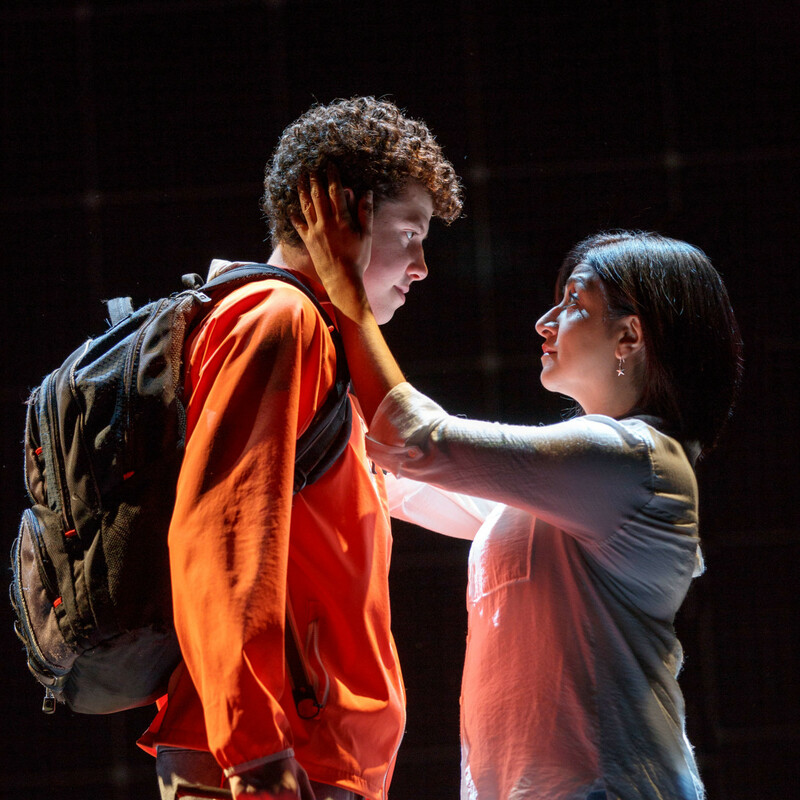 Christopher’s quest to solve Wellington’s murder might be the central plot of the first act, but the journey into Christopher’s mind is the real concern of director Marianne Elliott and playwright Simon Stephens, who adapted the story from the Mark Haddon novel. Haddon used first person point-of-view to let Christopher tell his own story and to help the reader see reality from his perspective. For this stage adaptation, Elliott and Stephens also let Christopher narrate parts of the story by creating two framing devices. Christopher and his teacher Siobhan (played with a kind of serene enthusiasm by Maria Elena Ramirez) read aloud from the book he writes about his adventures, and then the cast acts out parts of the play within the play, which Siobhan suggests that he write. This also allows the story to jump back and forth thorough the time and space, into Christopher’s past and future. 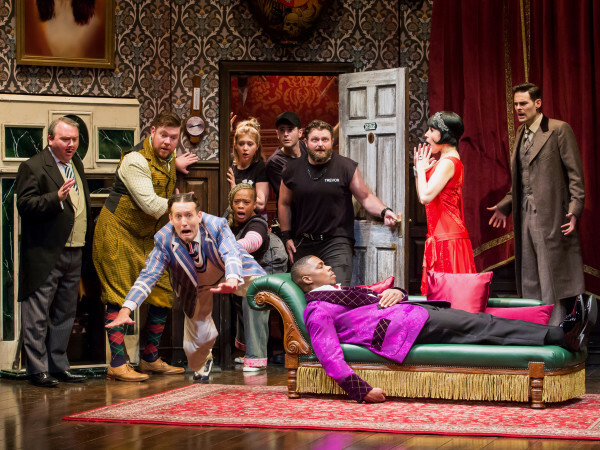 With the exception of Langdon, all of the cast play multiple roles within Christopher’s book/play and even become pieces of furniture and human rigging to lift him as he walks on walls. 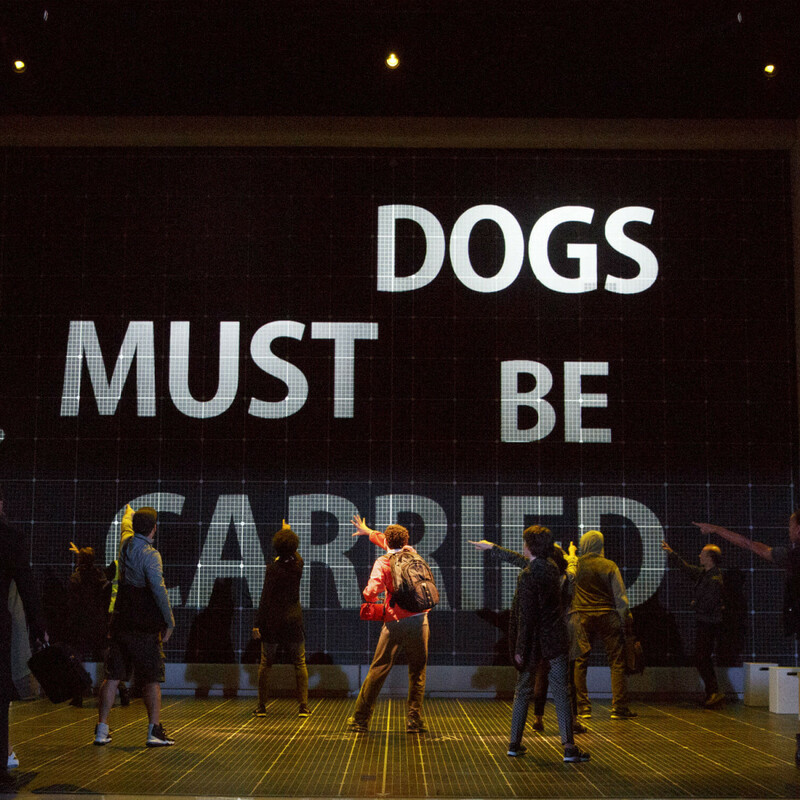 While Curious Incident might not have any musical dance numbers, choreographers Scott Graham and Steven Hoggett create a kinetic treat for the eyes. The other main way the play depicts the interior of Christopher’s mind is with a grid-like set that is both spectacularly intricate and high-tech minimalist. 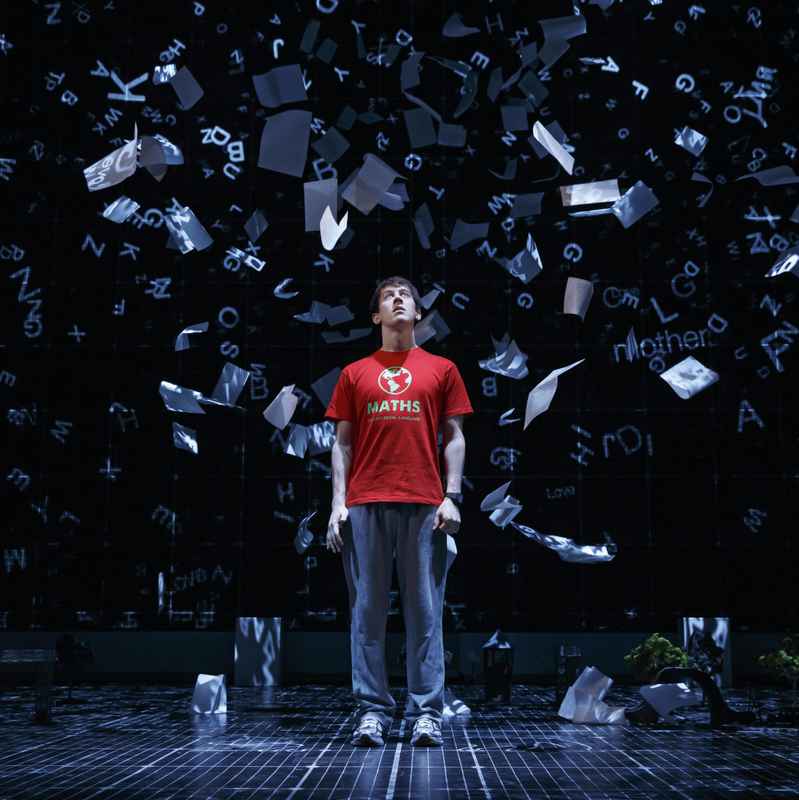 Scenic and costume designer Bunny Christie, lighting designer Paulie Constable and video designer Finn Ross created the world of the play with projections of everything from a rain of numbers, British transit systems and even launch Christopher into orbit. This could have made for a cold, clinical world, especially as we delve into the interior life of a hero who struggles to decipher his own emotions as well as those around him. 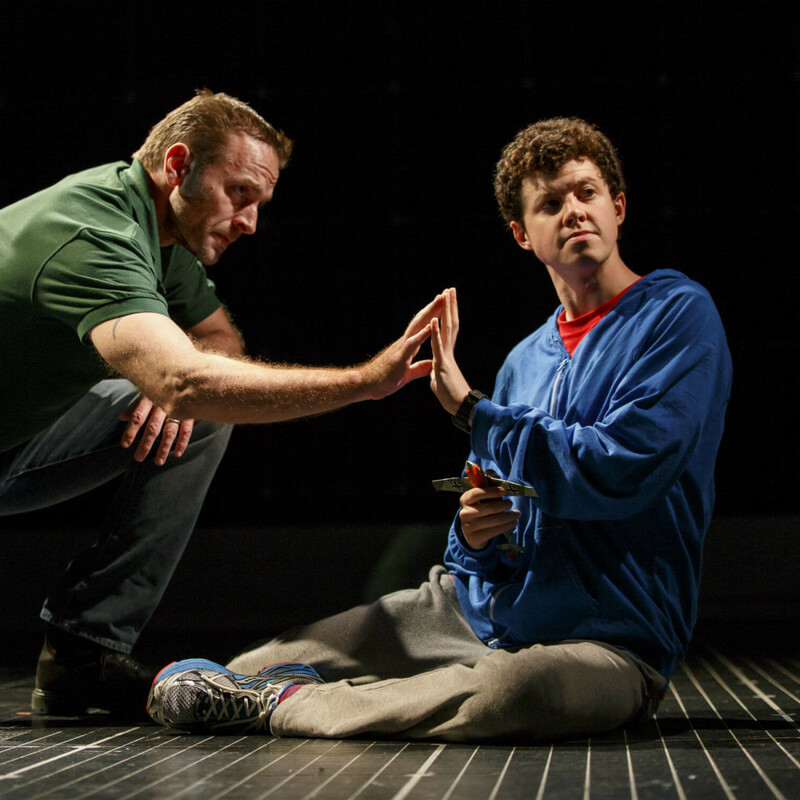 Yet, Langdon, playing Christopher with obvious ticks and with a cadence of speech some audience member might find irritating, also makes the teen very funny and lovable even as the character screams when touched. Gene Gillette as his father, Ed, and Felicity Jones Latta as his mother, Judy, also create great sympathy for characters who are all too failingly human. 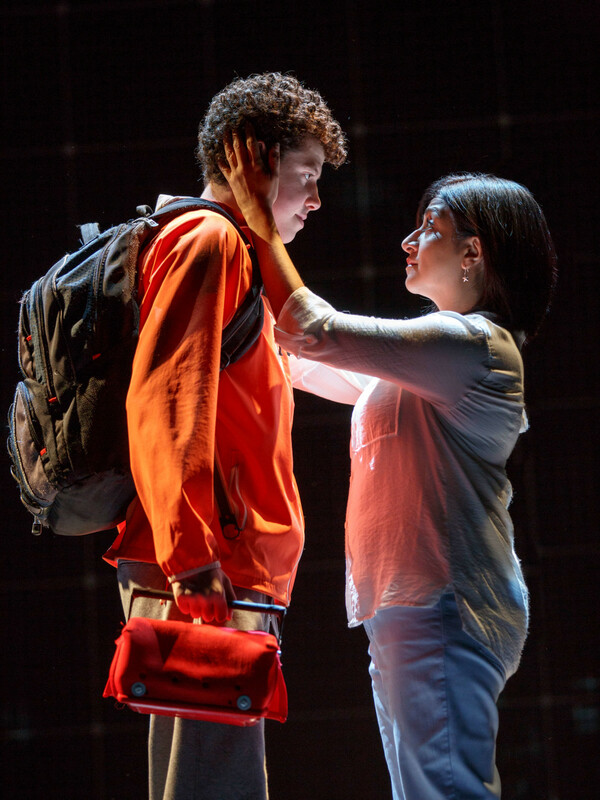 Both strike a fine balance portraying that great mix of love and frustration they feel interacting with their son. 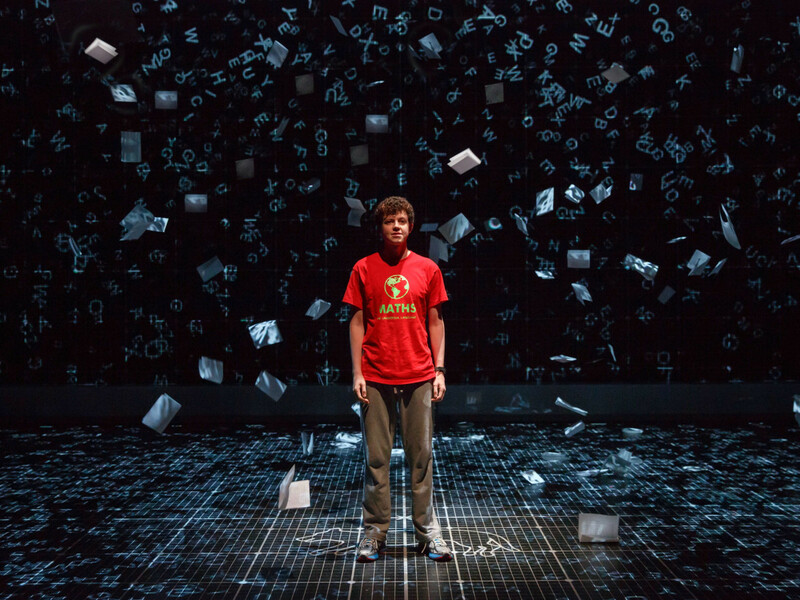 Through light, sound and projections, The Curious Incident of the Dog in the Night-Time attempts to replicate the wonder and sensual overload a person like Christopher might experience just moving through an ordinary day, but with its direction and performances it also creates its own kind of (non-musical) song dedicated to a life and mind extraordinary. 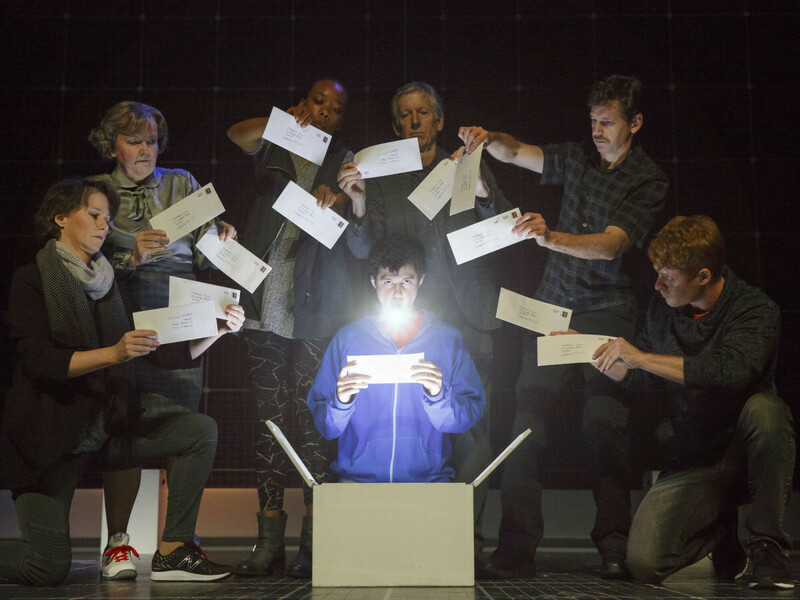 The Curious Incident of the Dog in the Night-Time runs at the Hobby Center through January 29.